For those in and around the game, you quickly realize football is more than just a sport. In the case of Kyle Buss, whose 2017 was a year filled with turmoil, stress and loss, football helped him through the most difficult time in his life. 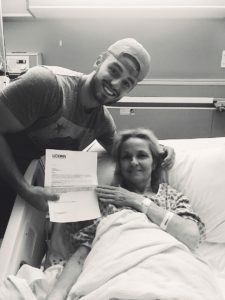 Kyle and his mom, Karen, were close, like many mothers and sons and when news first broke that Karen was checking into a hospital for an undetermined illness just two weeks into his 2016 season at Robert Morris, he made the only decision that made sense to him, Buss left the team and headed back home to New Berlin, NY. There, he helped care for his mom, who was ultimately diagnosed with cancer that December. Karen relentlessly pushed him to return to school, get an education and play the game that he loves, so after a period of time, he began the process of finding a new school. Buss arrived at UConn for the 2017 season and found himself cleared by the NCAA to play ahead of the East Carolina game. With his mom in attendance, he took the field on special teams, beginning the next chapter of his playing career, but it was short lived. He found himself soon returning to his mom’s bedside as her stage 4 abdominal cancer grew worse. During the final weeks of her life, Buss stepped away from the program and the game entirely. In early November, Karen unfortunately passed away. Following his mother’s passing and funeral services, Buss quickly realized he needed football more than ever. On the field, Buss picked up where he left off. His work ethic and passion for the game outweighed his self-described ‘introverted’ demeanor. Come the season finale, Buss managed to pull in his only catch of the year against Cincinnati and it was only a sign of things to come. His head coach saw how he approached the game everyday and even commented about Buss’ work ethic last year. 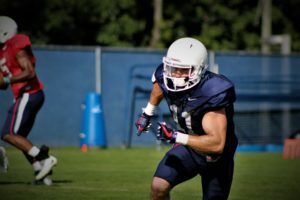 Buss arrived at UConn as a walk-on, but as the new calendar year hit, Edsall rewarded him with a scholarship. 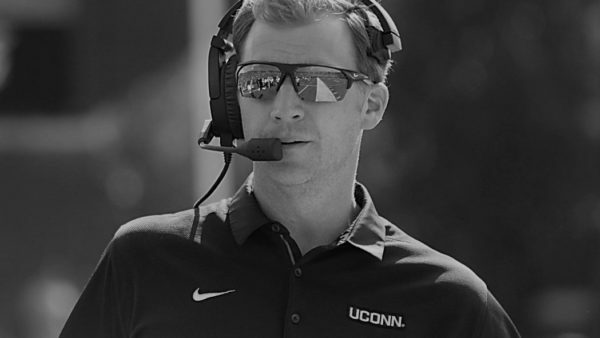 Buss continued to work throughout the offseason and his growth as a player was accelerated with the arrival of new offensive coordinator John Dunn, who’s offensive philosophy is an ideal fit for Buss’ skillset. In the spring, he quickly became a weapon the Huskies knew they could utilize often. Buss took the field last Thursday as the Huskies starting slot receiver and did not disappoint, pulling in a team-high 7-receptions for 113-yards. Heading into the season, he understood he would have a major role in the offense and prepared all training camp for those moments. Within his position group, Buss is one of three seniors including Hergy Mayala and Tyraiq Beals. Between the three of them and Coach Smith, it’s a tight knit group that is paving the way for a larger and younger corps of receivers. 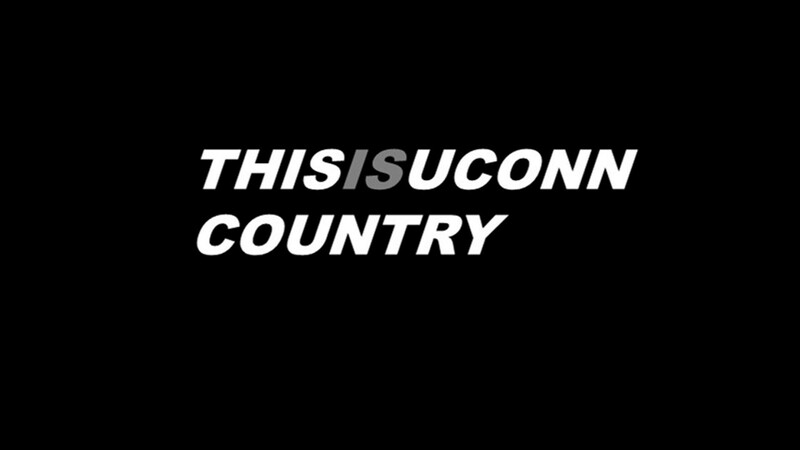 Offensively in the opener, UConn performed well between the 20’s, but once in scoring position, the offense faltered, something they will need to clean up heading into their road opener tomorrow night in Boise. Heading into the season opener, Buss summarized what he wanted to accomplish this season. Buss will take his mother’s memory onto the field with him each time he steps between the white lines. After leading the team in receptions in the opener, Karen must have been a proud mother, looking down with a smile.